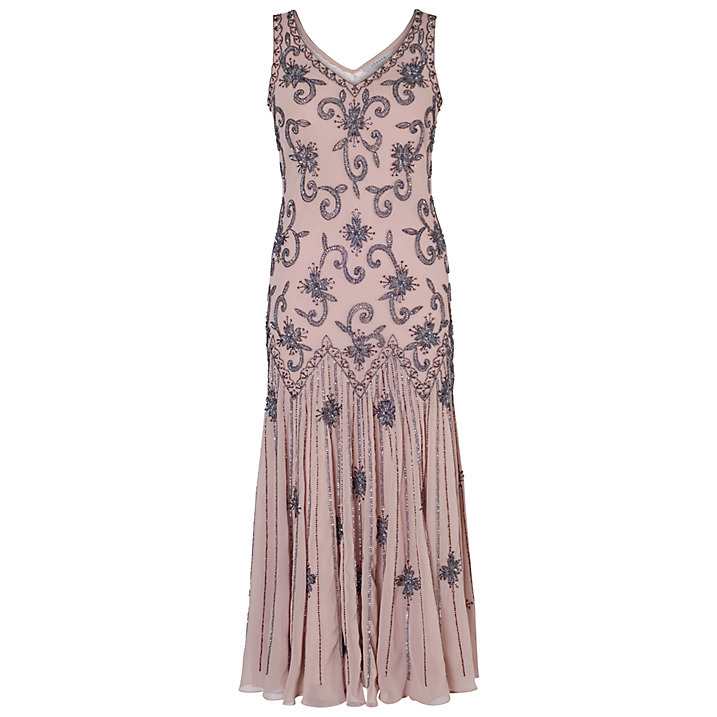 The dress style of the 1920s is often revived due to influences from current productions in the arts, such as the recent The Great Gatsby film and, of course, Downton Abbey. 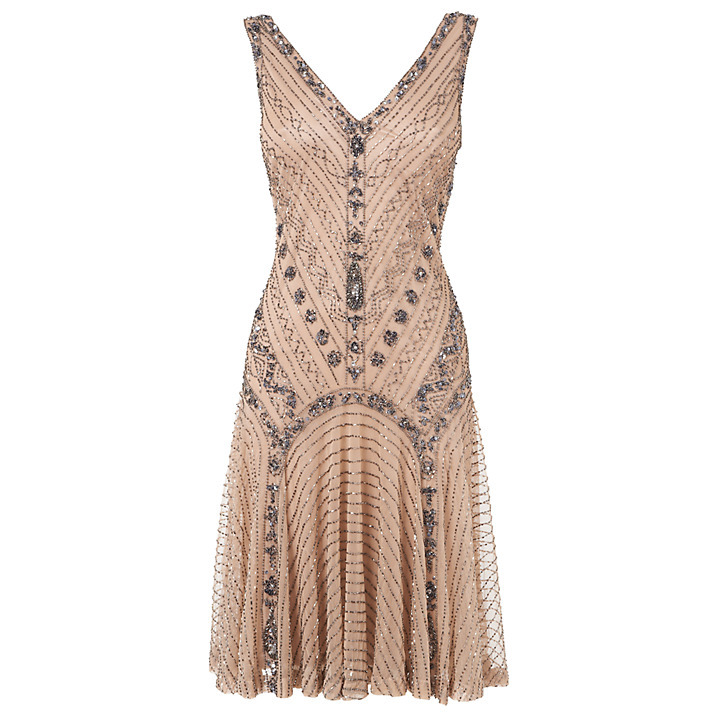 1920s’ fashion is characterised by loose tailoring rather than a fitted bodice and skirt; the fringed flapper dress, or shift dresses with dropped waists epitomise the style. 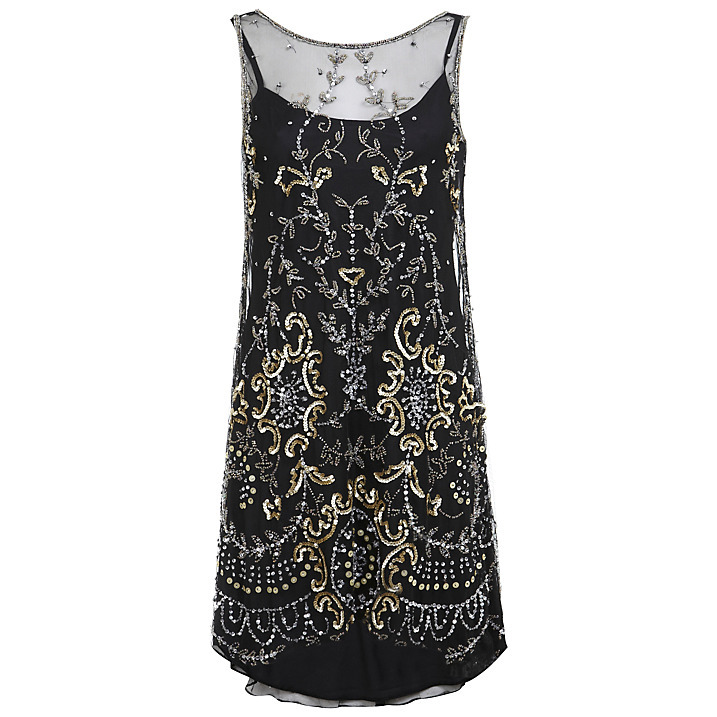 Fabrics of evening dresses tend to be satin or silk in pastel, black or metallic colours, often heavily adorned with beads and strewn with sequins. Long stranded pearls or beaded necklaces and Art Deco inspired jewellery and bags complete the look. In this post The Lady’s Maid shares her top five picks so that you can dress like the ladies of Downton and swish and sway those 1920s’ hemlines throughout the Christmas and New Year party season! 2. 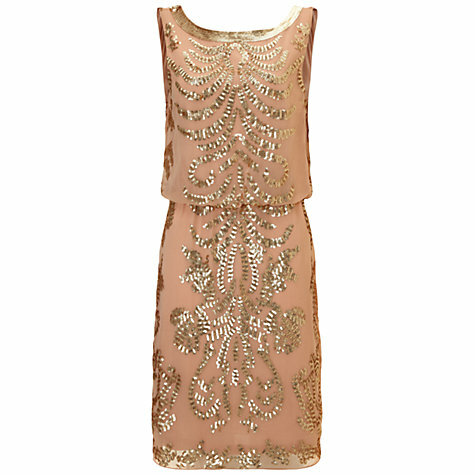 Ariella Tara sequin short dress, Gold. £149.